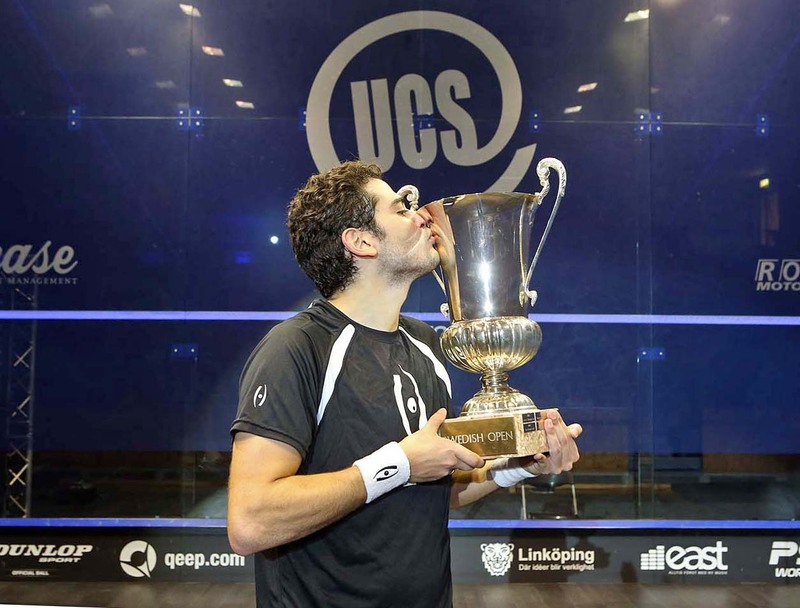 World No.9 Karim Abdel Gawad overcame fellow Egyptian and close friend Tarek Momen in a dramatic final in the 2016 UCS Swedish Open in Linköping - earning his first ever PSA M70 crown in the process. "It’s a great feeling, I’ve been working so hard for this," said Gawad. "It’s my first big title, my biggest title before this was an M35 tournament so, for me, it’s a great step forward and hopefully this is just the beginning. In the fifth game when it was at 4-4 I said to myself that I just needed seven more points. I had to push and put in everything I could. "Obviously, Tarek was doing the same but I had to focus and remember all the work I have been doing over the last couple of months. I’m very thankful I won the last few points. It’s given me a lot of confidence for the rest of the season." 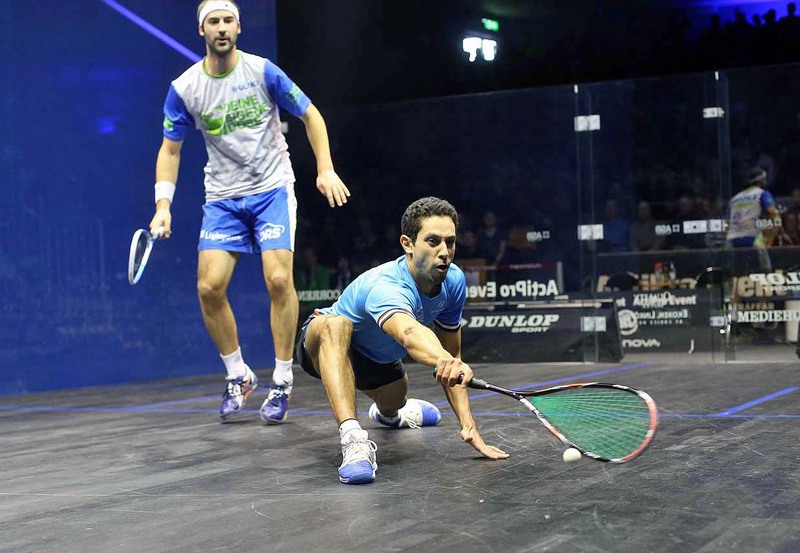 Egyptian duo Tarek Momen and Karim Abdel Gawad will face off in the final of the 2016 UCS Swedish Open in Linköping after claiming victories over German No.1 Simon Rösner and England’s Daryl Selby, respectively. Momen’s clash with Rösner saw the lead change hands multiple times throughout a frenetic 91-minute encounter with both players battling back from deficits on numerous occasions. With the match poised at 2-2, Momen managed to come out on top in an energy-sapping fifth game to record a 5-11, 14-12, 11-6, 7-11, 11-9 victory to reach his first ever PSA M70 final. “I fought for every point and it was close all the way, point-by-point, until the very end. When it’s 2-2 and 9-9 it can be decided by the flip of a coin. It went my way this time and I’m very happy about that." "The journey’s not over yet, I want to do well tomorrow and win my first M70 title." 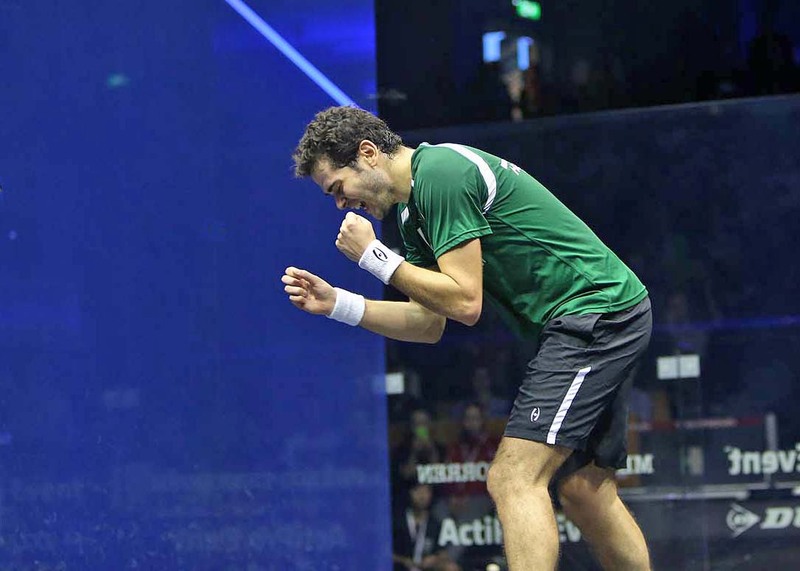 Gawad has also reached his maiden PSA M70 final after coming through in straight games against Selby. Both players went head-to-head in an extremely tight opening game with only two points in it as Gawad crept to the win. Some superb shots from Gawad enabled the man from Alexandria to build up a strong lead in the second and he doubled his advantage after Selby appeared to be struggling with his movement. An inordinate amount of unforced errors from Gawad let Selby back into the fixture in the third and final game but the 24-year-old did just enough to close the match out with an 11-9, 11-4, 11-8 margin of victory. "Tomorrow will be a tough match," said Gawad. "During the second game I felt that he wasn’t going for many balls. I thought that the third would be the same but he started to move better so I found myself 6-4 down. I had to refocus and try to play as if he wasn’t suffering from anything. "Tarek is one of my best friends on the tour, we’ve been playing at the same club for seven years so tomorrow will be a good match. I don’t think it will make much difference that Tarek played a long match today. Yesterday it was the other way round so I think we will be physically equal tomorrow." 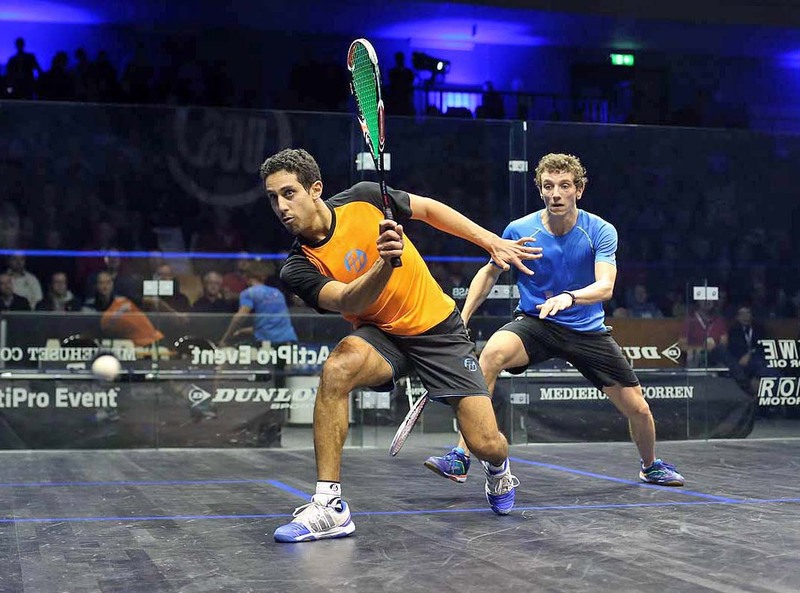 World No.9 Karim Abdel Gawad came though a brutal five-game-thriller against eighth seed Chris Simpson to reach the semi-final stage of the 2016 UCS Swedish Open in Linköping. Both players partook in a veritable feast of attacking squash and put on a show in front of an enraptured crowd but it was Gawad who eventually shaded the contest, prevailing courtesy of a 7-11, 11-6, 11-6, 9-11, 11-7 scoreline. 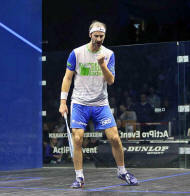 “This is the second PSA M70 semi-final I have reached in my career so I’m really happy to get through. Simpson is a very tough player so I’m glad I could take it in the fifth today. It was tough because in the fourth he was 9-4 up and I managed to get it back to 9-9 but he still won it. 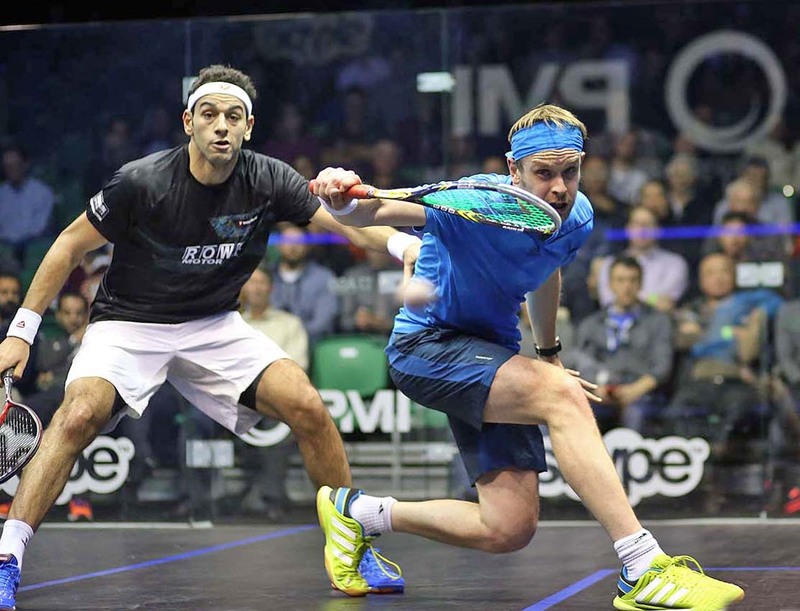 Title favourite Simon Rösner is still on track to pick up a first PSA World Tour title in over a year after downing Australian No.1 Cameron Pilley in a highly entertaining 79-minute clash. High quality rallies were par for the course with only a number of lets towards the end of the third game punctuating what was otherwise a nail-biting contest full to the brim with attacking brilliance from the duo. Rösner dropped the first game but soon wrestled back momentum of the match, prevailing by a 9-11, 11-7, 12-10, 11-6 margin of victory to reach his second ever Swedish Open semi-final. “I’m really proud of my performance today,” said Rösner. Elsewhere, Daryl Selby has reached his first PSA M70 semi-final since 2013 after coming through his fixture with Max Lee in straight games. Lee was fatigued after coming through a gruelling five-game contest in the previous round against Alan Clyne and Selby took full advantage of his opponent’s weary legs to take an 11-9, 11-5, 16-14 victory and set up a semi-final meeting with second seed Gawad. “I felt like I played well,” said Selby. 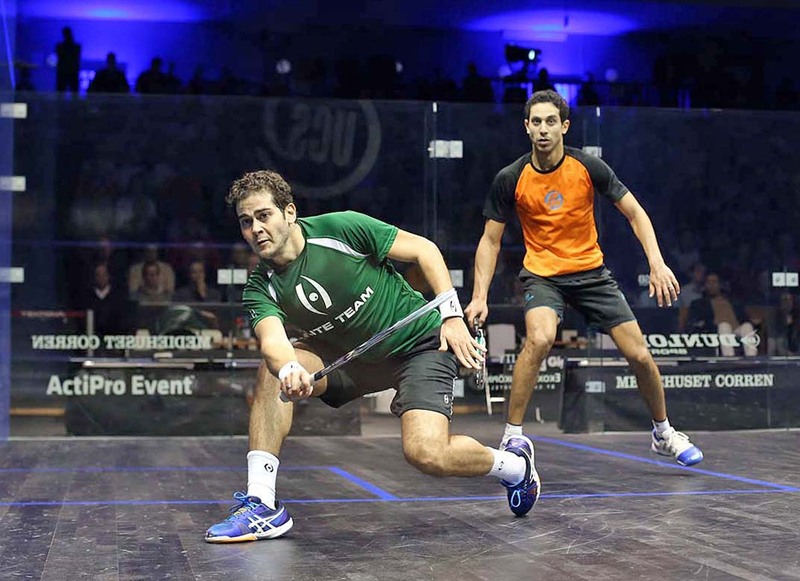 Tarek Momen defeated French qualifier Lucas Serme in the day’s other fixture and the World No.11 will go head-to-head with Rösner in the next round. French World No.42 Lucas Serme (right) bridged a huge gap in the world rankings to dispatch talented Egyptian Fares Dessouki in the first round of the 2016 UCS Swedish Open in Linköping. It was Dessouki who had the better of the early exchanges with his dynamism and attacking artistry in full flow in front of enraptured crowd but a superb fightback from Serme saw the young Frenchman take three games without reply to complete an 8-11, 13-11, 11-7, 11-2 triumph. “I’m ecstatic, I’m over the moon,” enthused Serme, who will meet Tarek Momen in the next round. “I was just really happy to qualify, that was my goal in this tournament. I wasn’t expecting this much. I knew I could beat him but he’s really dangerous. “He has beaten so many good players but I went out there quite free and quite relaxed. I knew he had the pressure on him and maybe that’s what made the difference in the end." Hong Kong’s Max Lee is also through after prevailing in a brutal encounter with Scotland’s Alan Clyne. 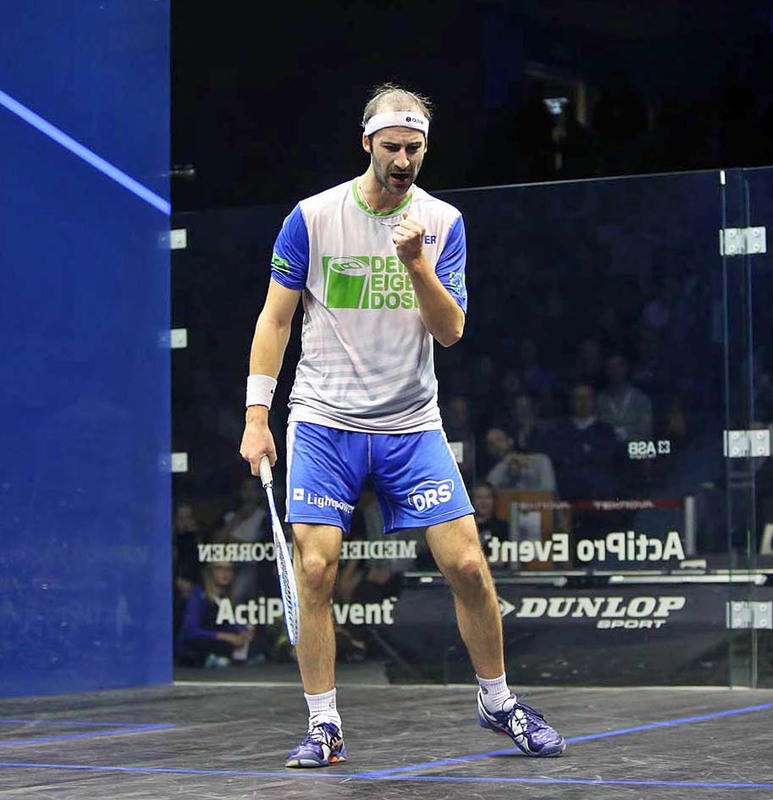 The World No.15 looked to be easing through to the last eight of the PSA M70 event after claiming a commanding two-game lead but Clyne wrestled back momentum of the match to level things up. Lee held his nerve though and recovered to complete an 11-6, 11-7, 4-11, 10-12, 11-8 triumph to move through to his first ever Swedish Open quarter-final where he will face England’s Daryl Selby. “That wasn’t fun at all,” said Lee (left). “I was 2-0 up but it took me some time to break him down a little bit. Hopefully my next match is a bit quicker than this one. If I can play 30-40 minutes then I would be very happy. 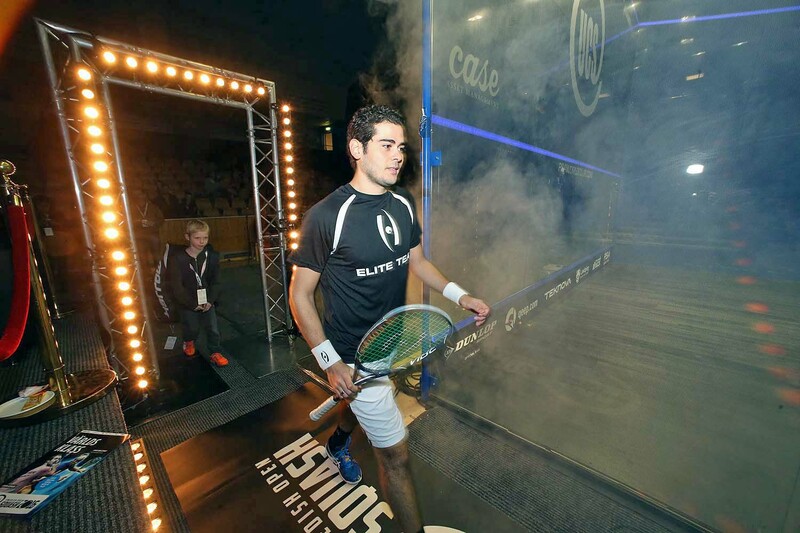 Meanwhile, Egyptian World No.9 Karim Abdel Gawad ended Swedish hopes of having a local hero take the crown by dispatching wildcard Rasmus Hult in straight games. Gawad put on a flamboyant performance that was full of flair as he hit a number of sumptuous winners in a sterling 27-minute display that yielded a victory by an 11-5, 11-8, 11-8 scoreline. “I’m really happy to win today in three,” said Gawad. “It was my first time playing against him and I enjoyed it so much. He is a great player and it was a great match with a great atmosphere in the venue." Gawad will go head-to-head with Chris Simpson for a place in the semi-final. England’s Ben Coleman came through a second successive five-game-thriller in the qualifying stages of the 2016 UCS Swedish Open, PSA M70 tournament, coming back from 2-0 down to defeat compatriot Joe Lee. Coleman, who overturned a 2-1 deficit in the first qualifying round against Peter Creed, found himself on the back foot early on and looked to be heading out of the event before a virtuoso display in the final three games saw him storm back to take a 7-11, 5-11, 11-8, 11-5, 11-7 victory. Former World No.9 Laurens Jan Anjema continued his flawless qualifying campaign with a straight games triumph over Eddie Charlton. The experienced Dutchman was in command through the fixture and kept his opponent at arm’s length to take the win in three. Anjema will do battle with Cathay Pacific Sun Hung Kai Financial Hong Kong Open runner-up Cameron Pilley next for a place in the quarter-final. Elsewhere, second qualifying seed Olli Tuominen came out on top of his all-Finnish encounter with Henrik Mustonen and surged to an impressive 3-0 victory to set up a first round meeting with Daryl Selby. Lucas Serme prevailed over Kristian Frost Olesen in their final qualifying round tie with the promising Frenchman taking the victory without dropping a game. Serme will hope to keep up his perfect displays in Sweden so far when he lines up against Fares Dessouki in the opening round of the main draw. 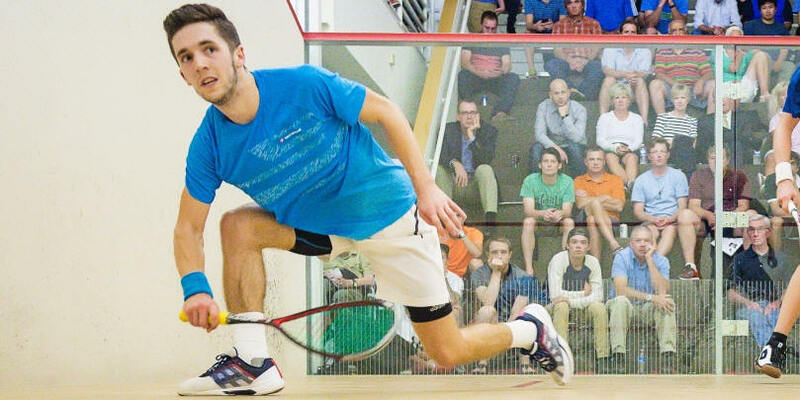 Experienced Dutchman Laurens Jan Anjema took a step closer to the main draw of the 2016 UCS Swedish Open, PSA M70 event after the World No.41 came up with a straightforward victory over Welshman Joel Makin in the opening round of qualifying. 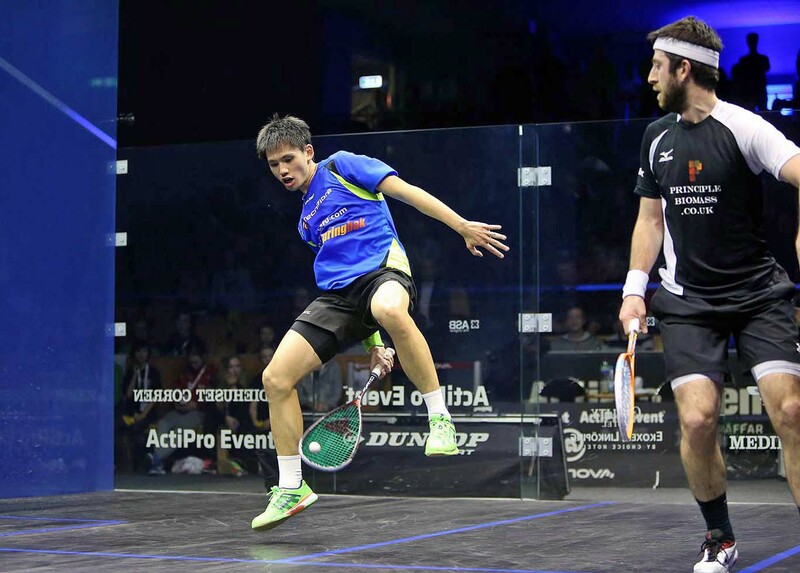 Anjema, who has battled back from a career-threatening foot injury sustained in 2014, was in commanding form throughout the 43-minute encounter and attacked with a ferocity and flair that was reminiscent of his best form when he was ranked at World No.9. Sharpes was the only seed to fall by the wayside however, with all of the other results going in the favour of the higher seeded players. Sixth seed Ben Coleman faced real resistance from the energetic Peter Creed though and had to come back from 2-1 down to take the win in five. Coleman will face fellow Englishman Joe Lee in the final round of qualifying thanks to Lee’s impressive dismantling of Bjorn Angtoft for the loss of just three points throughout the whole encounter. Finland’s Olli Tuominen had an easier time of things against local player Carl Remle as he swept to the victory in straight games. The 2002 runner-up will go head-to-head with compatriot Henrik Mustonen in the next round after the experienced campaigner defeated Miko Aijanen 3-0. Lucas Serme and Kristian Frost Olesen will face off in the other final qualifying round fixture, meanwhile, after they rose to triumph over Viktor Hogberg and Tom Ford, respectively. 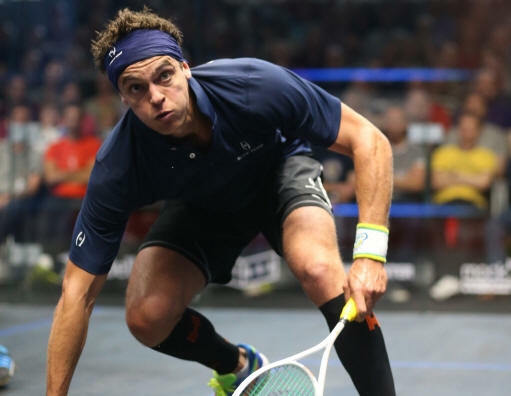 Former World No.1 James Willstrop has been forced to withdraw from the upcoming 2016 UCS Swedish Open, PSA M70 event that takes place between Thursday February 4 - Sunday February 7 in Linköping due to illness. The Yorkshireman had been seeded sixth for the tournament and, after an upturn in recent form that saw him memorably dispatch World No.1 Mohamed Elshorbagy in November’s PSA Men’s World Championship, would have been confident of challenging for a second Swedish Open title after he won his first in 2008. Willstrop’s withdrawal sees Scotland’s Greg Lobban move into the main draw, with England’s Chris Simpson moving up to one of the seeded positions. "James is a really well-respected player and we wish him a full recovery," said tournament promoter Fredrik Johnson. "However, we are still looking forward to one of the most unpredictable Swedish Open events ever. With six of the world’s top 15 players in action, including German No.1 Simon Rösner, World Championship semi-finalist Tarek Momen and Hong Kong Open finalist Cameron Pilley, this year’s instalment of the Swedish Open looks to be the most tightly-contested tournament yet. "We have been buoyed by the fantastic response that the tournament has received once again in Linköping and, after excellent ticket sales, are excited to see a packed crowd gather for an unforgettable tournament." 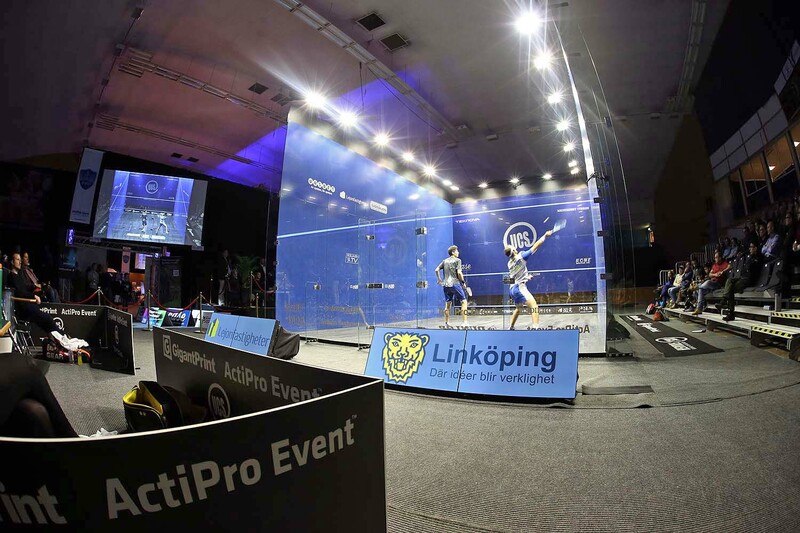 Having been held for the first time in the 1970s, the Swedish Open has grown to become one of the most prestigious International-level tournaments on the PSA World Tour calendar and is set to enter its 13th year under the stewardship of ActiPro Event. 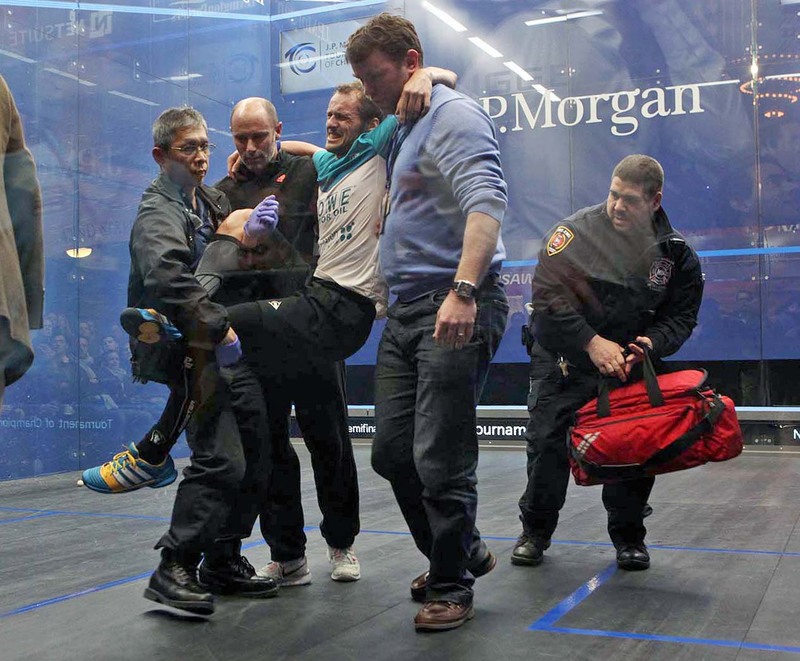 World Champion Gregory Gaultier has been forced to withdraw from the forthcoming UCS Swedish Open after failing to recover from an ankle injury suffered during the semi-finals of January’s J.P. Morgan Tournament of Champions, PSA World Series tournament. 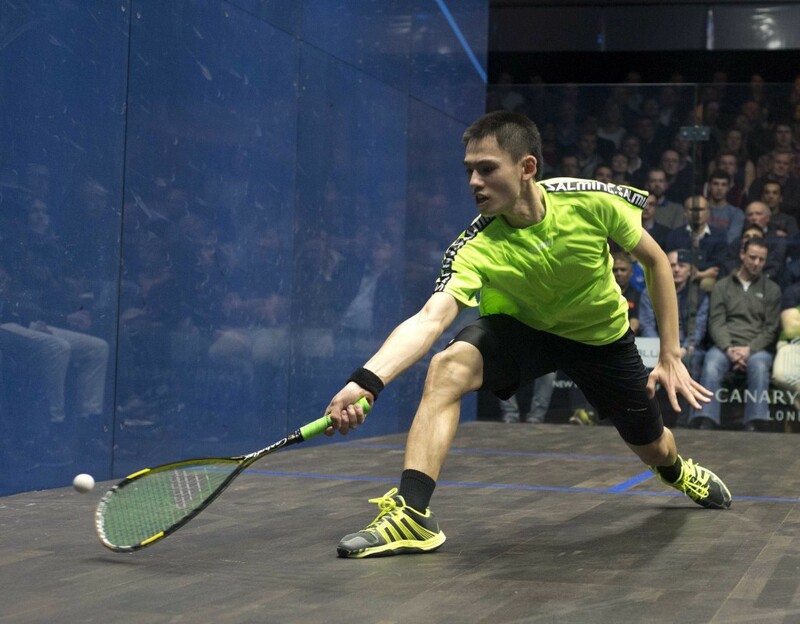 Gaultier had been odds-on favourite to triumph at the PSA M70 tournament for the third time in his career when the action gets underway at Linköping Sporthall, Sweden on February 2 but now faces an anxious race to recover from injury as soon as possible. His place in the main draw has been occupied by Adrian Waller while Scotland’s Alan Clyne also moves into the main draw after the withdrawal through injury of Mazen Hesham. “However, with seven players from inside the World’s top 15 still in contention including World Championship semi-finalists James Willstrop and Tarek Momen, we are certain that the 2016 UCS Swedish Open will once again be a very successful tournament and look forward to welcoming all the players in the next few weeks. 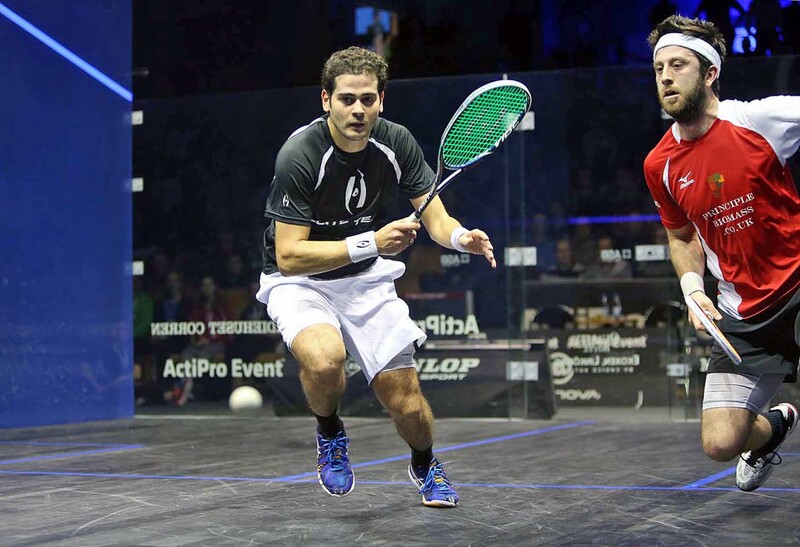 2015 Squash World Champion Gregory Gaultier will be man to beat when the most squash prestigious tournament in Scandinavia, the 2016 UCS Swedish Open, gets underway at the Linköping Sporthall, Sweden on February 2. Two-time Swedish Open Champion Gaultier, who last month finally clinched World Championship glory after falling in four previous finals, will be the favourite to triumph and claim the title for a third time when the PSA M70 tournament gets underway but will have to be at his best to hold of the challenge fellow top ten players such as Simon Rösner, Karim Abdel Gawad and Tarek Momen. The start-studded field will also feature top 20 players such as former World No.1 James Willstrop, Daryl Selby, Mazen Hesham , Max Lee and 2015 Hong Kong Open runner-up Cameron Pilley amongst others while local hopes will rest on the shoulders of Wildcard Rasmus Hult. 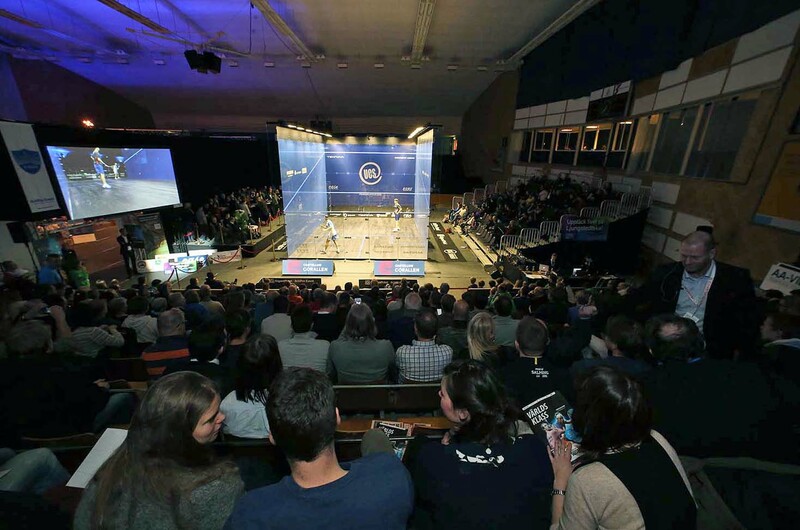 “We're delighted to have such a strong collection of players competing in the UCS Swedish Open and look forward to what promises to be a very exciting week of squash in one of the best sporting locations in all of Sweden,” said Fredrik Johnson, CEO of ActiPro Event. 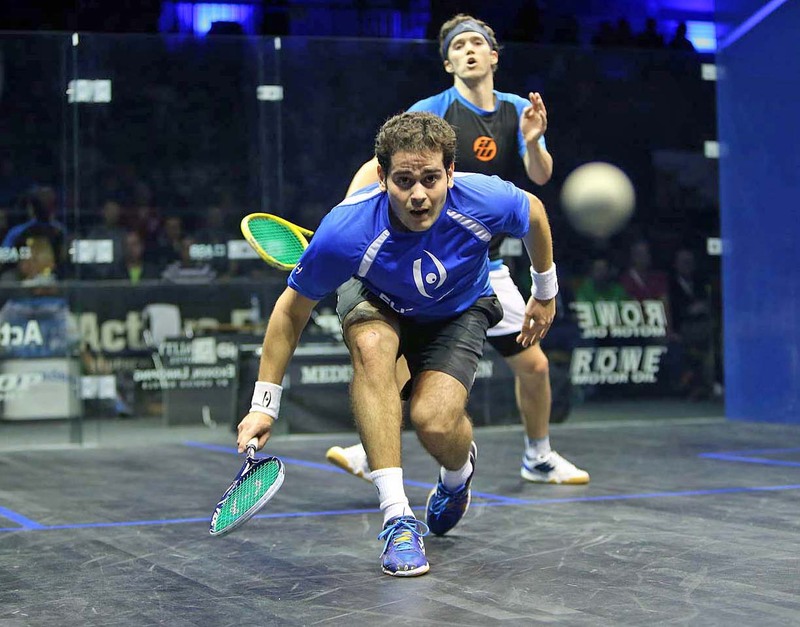 Having been held for the first time in the 1970s, the Swedish Open has grown to become one of the biggest International-level tournaments on the PSA World Tour calendar and will enter its 13th year under the stewardship of ActiPro Event.